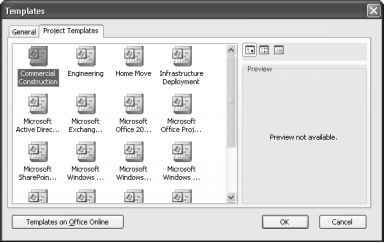 There are additional built-in templates for the deployment in your organization of specific Microsoft products, such as Windows XP Exchange Server, and more. 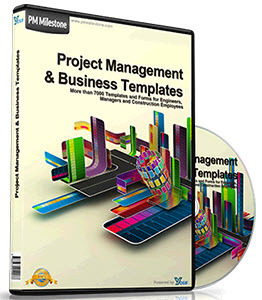 Microsoft Project online Help provides comprehensive details about each template provided. In the Help box, type templates and then click the Available Templates link (see Figure 28-4). The corresponding Help topic is displayed when a search result is selected. Enter a key phrase in the Help box. Help Search Results appear in the left pane. Figure 28-4. Read about any of the built-in templates to see whether it fits the type of project you need to build. To create a new project from a template, follow these steps: 1 Click File, New. 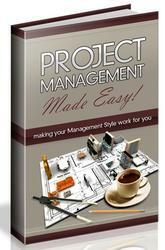 Note If you just click the New button on the Standard toolbar, you won't get the choices you need in the Project Guide. 2 In the New Project pane, under Templates, click the On My Computer link. 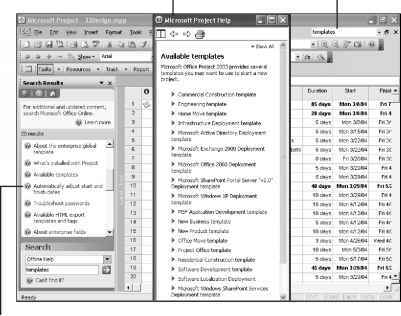 3 In the Templates dialog box, click the Project Templates tab (see Figure 28-5). Figure 28-5. All built-in templates are listed. 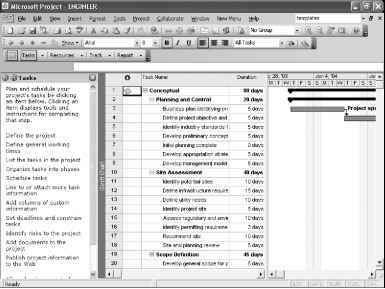 Click the project template you want to use and then click OK.
A new project plan appears, based on the template you chose (see Figure 28-6). If this is the first time you've chosen a template, Microsoft Project might need to install it. This just takes a few moments. Figure 28-6. A new project file is created based on your selected template.